I love getting tips from readers. Especially when those tips are about gyros. A couple of weeks ago, a listener called during my weekly Wednesday segment on "Charlie + Ernie + Lisa in the Morning!" on WVMT to tell me the pizzeria that opened in August in Williston was serving the Greek wraps. 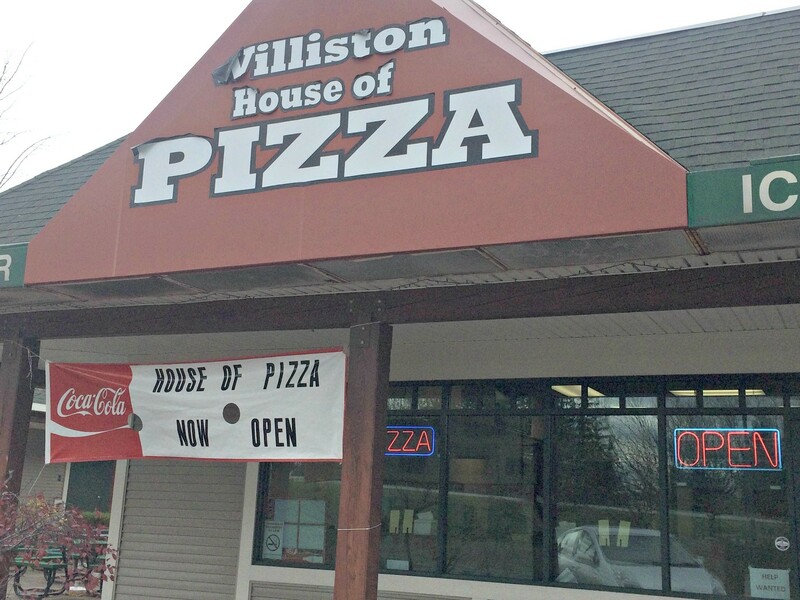 I wasted little time motoring to Williston House of Pizza for a taste. Challenge accepted. 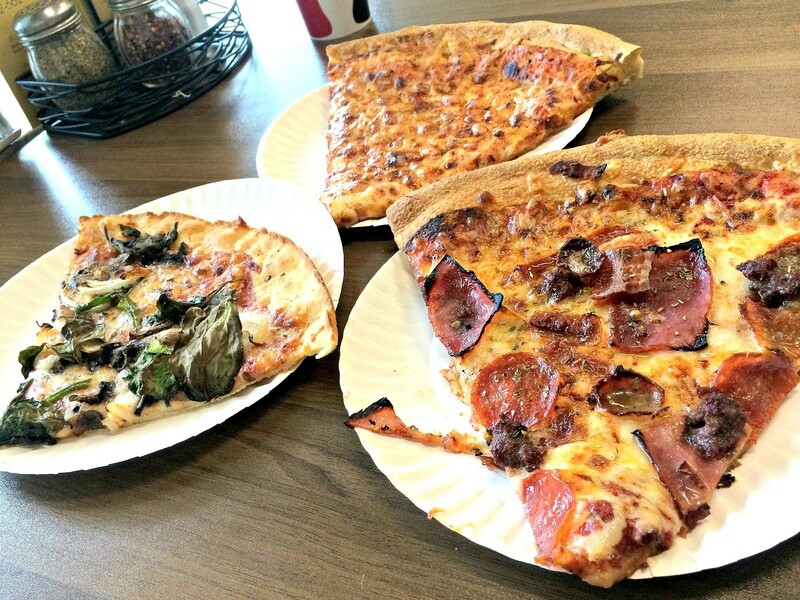 The strip-mall pizzeria didn't look much different from its other iterations as Rocky's NY PIzza and Vermont Pizza Company. But the pizza did. Co-owner Spiros Tsimis (who shares the restaurant with Williston native Khanh Ly) specializes in the Greek-style pizzas he grew up with in Massachussetts. The pies are baked in a pan, not unlike Chicago-style pies, but are not much thicker than a skinny New York-style crust. Sometimes, Greek pizza treads an uncomfortable line between the two styles. But not Tsimis'. His crust is uncommonly flaky, like that of a Chicago-style pizza-cake monstrosity, but thin enough so as not to overwhelm. It's a damn good crust, and I haven't seen anything exactly like it in Vermont, even from other Greek pizza purveyors. The sauce is tangy with just a touch of sweetnes; even the plain cheese slice I tried was rewarding. If the ham, pepperoni, sausage, "hamburg" and bacon on the Meat Lovers' were nothing to write home about on their own, a trip to the oven that singed the edges gave them massive doses of crunchy appeal. But gluten-free diners should take special note. The wheat-free crust was just as flaky as the conventional one. The major difference, other than the lack of a glutinous stretch, was a touch of dryness, which also could have been the result of sitting longer than the other slices. 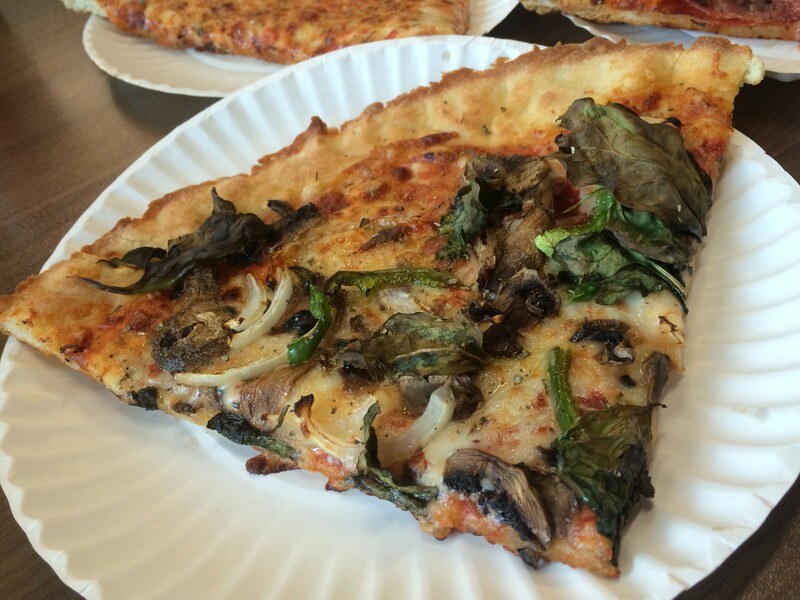 Either way, I liked the meaty mushrooms and crispy leaves of spinach on top. 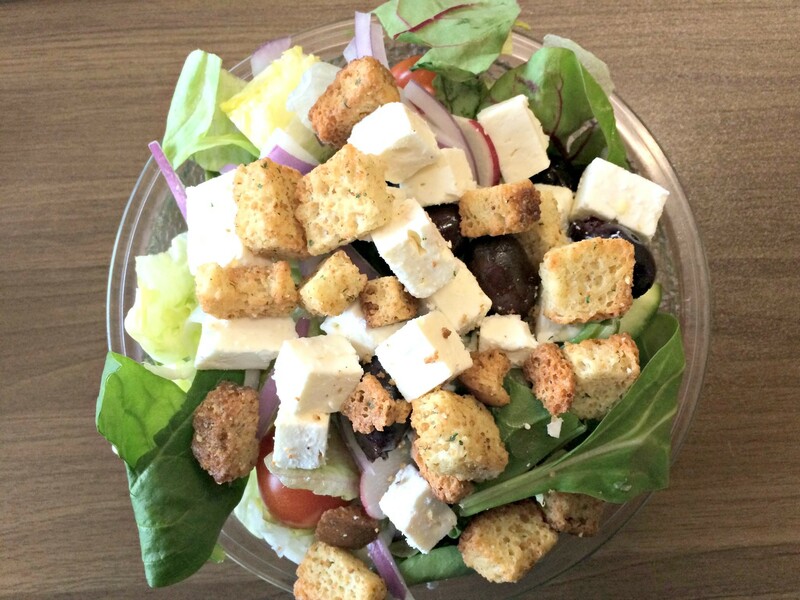 It was a better delivery system for greens than the Greek salad. This was a sliver above the average ramshackle pizzeria salad, but still just a pile of salad-bar-level ingredients. Still, for $5, it was a lot of salad and a lot of dry, low-quality feta. 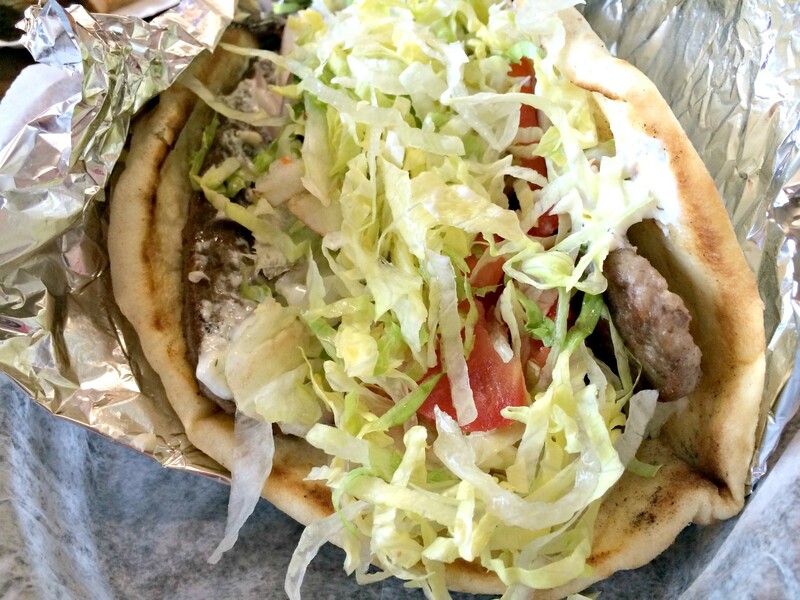 But the true bummer of the meal was the gyro. Despite the energetic recommendation, there wasn't much to recommend what was inside the warm pita. Far from being shaved from a rotating kebab, the meat had the flat, oval shape of a factory mold. Unfortunately, the factory apparently forgot to season the spongy mystery meat. This, the topping of lettuce shreds and bland "tzatziki" sauce made me think that McDonald's — if the chain made gyros — would do it better. Mercifully, the meal ended on a high note. 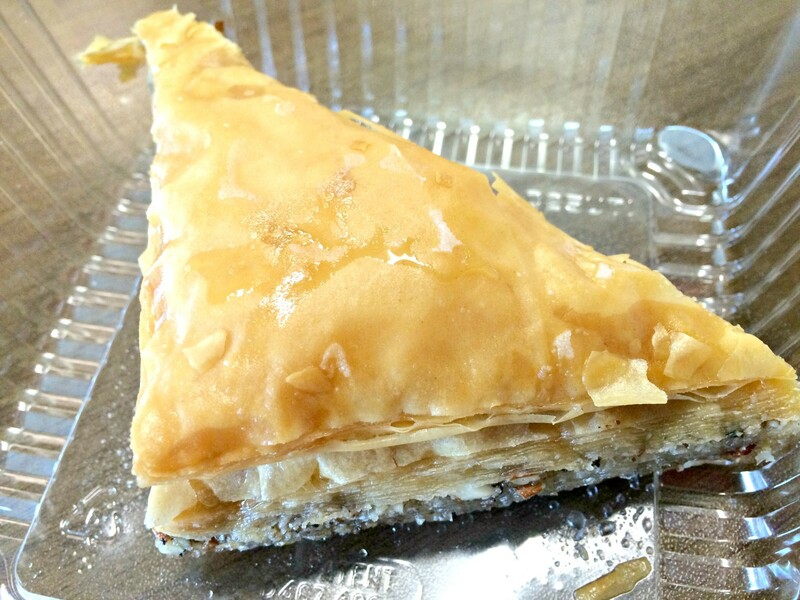 For less than $3, a shareable portion of baklava was exceptionally crispy. Though its lower reaches were soaked in syrup, it wasn't excessively sweet. Baklava is a highly subjective matter, but for my tastes, this was a winner. Even if the gyro made me sad, the pizza was certainly worth a return visit. And the bill came to $28.24 with drinks. Not a bad deal for an afternoon's nourishment.